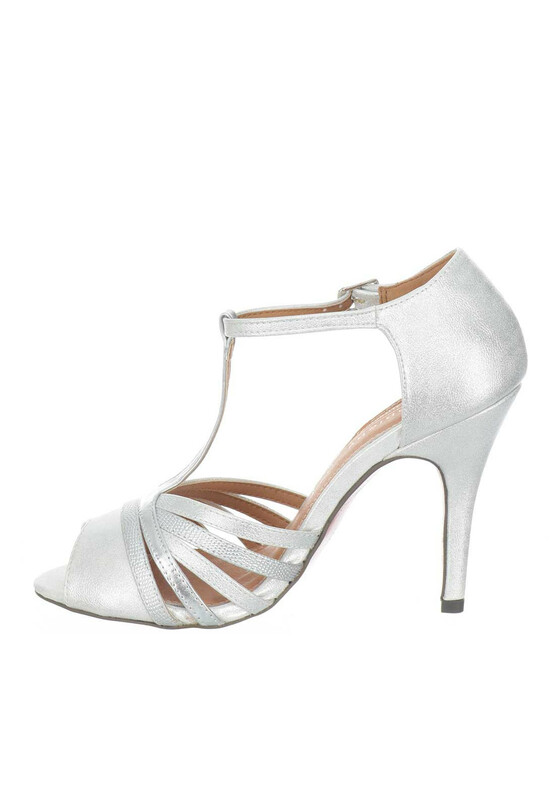 Add the finishing touches to your glammed up look with the Savoy sandals by Kate Appleby in silver. This shimmering pair feature contrasting metallic and reptile print textured with a T-Bar fastening and a sleek stiletto heel. A cushioned leather insole ensures lasting comfort and the signature red sole gives it a Hollywood glam feel.